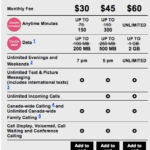 Just a quick note on Fido’s $57 promotional voice and data plan. We earlier noted it was quietly extended to January 7th of 2013, and now it appears to have gotten even better. 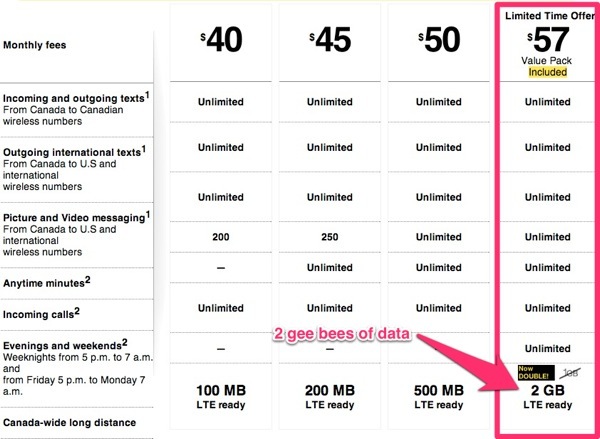 As spotted by iPhone in Canada reader @habsfan324, the data allowance has now doubled to 2GB, essentially making this a fantastic plan for unlocked iPhone users (beating out Koodo’s similar $60 plan from today). Even with the data overage of $10/GB, that essentially makes this a $67 unlimited Canada-wide plan with 3GB of data, plenty for the average user. The plan is only available on a 2-year Fido Agreement because the plan comes with a lower subsidy and we pass those saving to our customers with lower-priced plans and shorter (2-year)terms. Customers who are not on a term-agreement or have purchased the device at full cost are eligible for this plan. Anyone on this plan right now or thinking about switching to it?